So… My last post was in March and it is now… Mid-October. Oh, well. Sometimes my life just seems to get away from me. This is the problem with being such a workaholic. 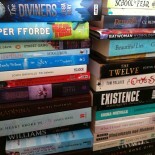 To try and make up for my absence – during which I read many, many books – I’m going to do a series of round-up posts. I was planning to do a video blog but I think that would just be WAY too much talking. Maybe I might throw one in here though; we’ll see how it goes. I seem to have mostly YA on the to-review pile, which is not really a HUGE surprise because it makes for quicker reading than something like The Bone Clocks (also on the pile). I did promise that my next review would be for The Coldest Girl in Cold Town by Holly Black but I’ve decided to throw that one into a vaguely Halloween-themed post. (I have a few themes and then a large pile of books that I’ve lazily decided to classify in a lump as “other”) The theme of this post, as you probably saw from the title, is Teen Thrillers. 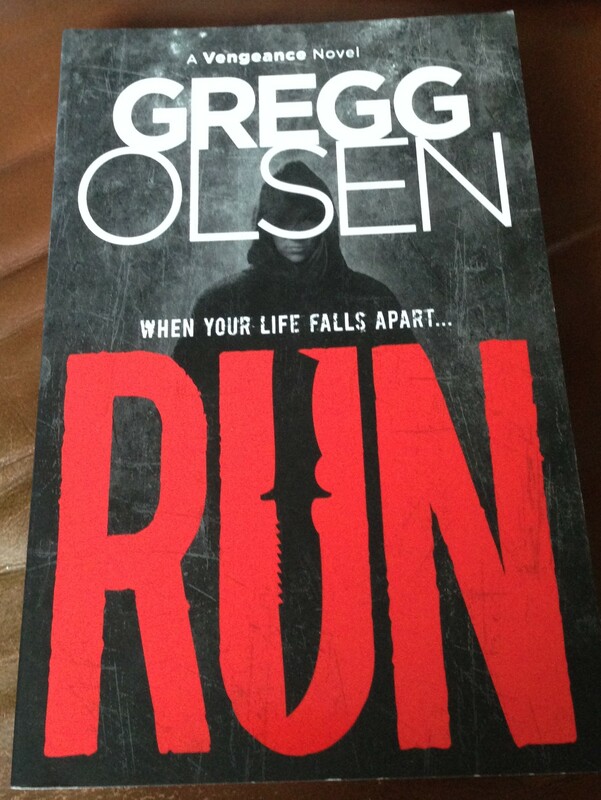 I’m not sure whether Thrillers is quite the right word here, but *shrug*. These are all fast-paced, action-packed stories and I enjoyed them all. Rylee is not a normal girl and she has not had a normal childhood. She is much better equipped than you or I would be if this happened to us and she is determined to fight back and discover the truth. 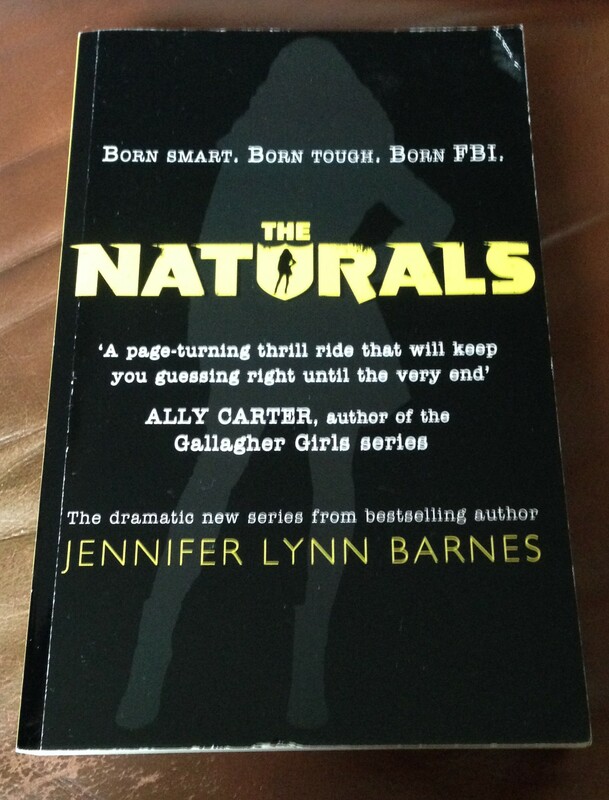 Although The Naturals seems vaguely Ally Carter-ish on the surface, with FBI teenagers (instead of spy or thief teenagers), it is actually quite a different animal. Much darker and creepier and everyone’s backstory is either tragic or awful. All of this isn’t to say that I didn’t enjoy it. The romantic subplot was pretty good and the actual mystery was both super-creepy and good at keeping me guessing. I liked the premise too, that the Naturals have innate skills that make them suitable for FBI work. I’m definitely looking forward to reading book 2, Killer Instinct – due in November. It’s a sad truth that sometimes books are released and then sadly ignored by the buying public. I’d be willing to bet that every bookseller can name at least one book that they absolutely loved and that is inexplicably difficult to sell. I had heard of Boy Nobody but not read it until a proof for The Mission (on which, more in a minute) was sent to the store. It looked good. I wanted to read it. Then with a sinking heart, I realised that it was the second book in a series. Sometimes things work out, though, because I found a copy of Boy Nobody when I was working in a different store. I took it home and then read both in one sitting. 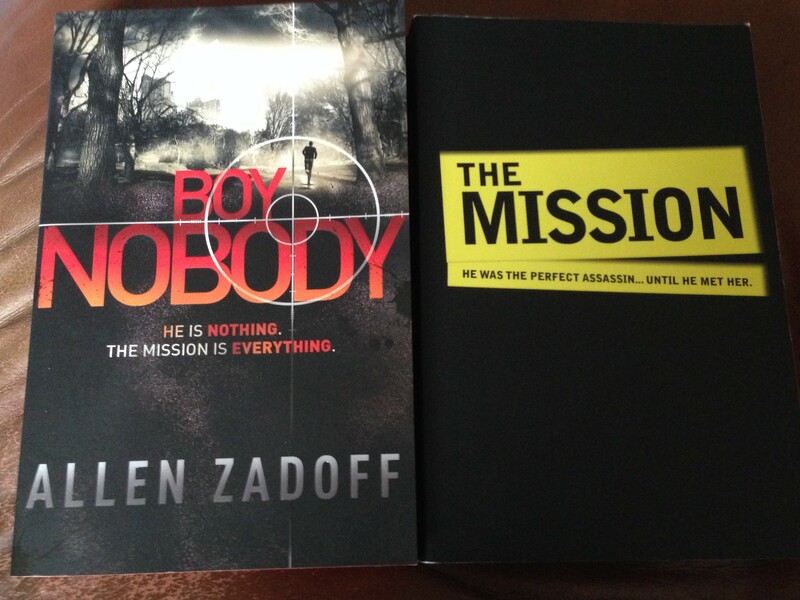 Boy Nobody has now been retitled to The Hit and has been rereleased for people buying The Mission. I’d definitely recommend them both. They’re great books for fans of Robert Muchamore’s Cherub series or Anthony Horowitz’s Alex Rider books. They could be very simple action stories but there’s a complexity to them that gives them much more depth. Boy Nobody (who does not remember his real name) is an assassin, who starts to question whether he’s really one of the good guys. It’s all a bit Bourne but definitely in a good way. The first book takes him to school, where he starts to make friends and even fall in love, while book 2 sends him undercover in a paramilitary compound. Both books deal with divided or unclear loyalties and with the main character slowly remembering his past and learning more about the organisation he works for. There’s a certain fear in reading a new book by someone you like and respect. Especially when they’ve signed it for you. What if this time you don’t like it? How on earth could you look them in the eye after that? It’s lucky, then, that Tom Easton is such a brilliant writer. I have to admit to being slightly worried. 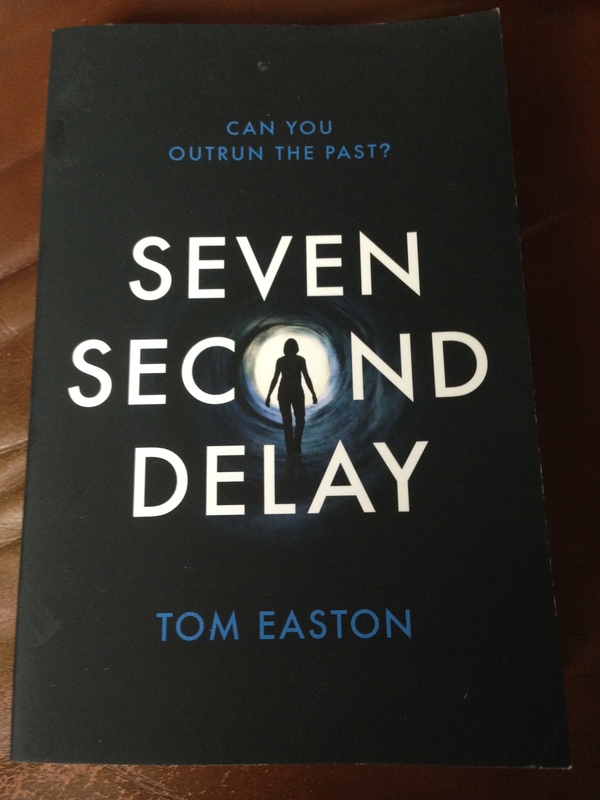 The premise of Seven Second Delay, as I understood it before I started reading, seemed a little silly and it’s true that it did take me a little while I get used to the idea of an implanted phone that broadcasts the main character’s actions and location (which really wasn’t silly at all when you think about GPS chips). I actually really loved this book, which contains a really interesting version of dystopian Britain and some excellent action sequences with Mila taking advantage of the 7 second time delay between herself and her pursuers to come out ahead of them. Plus, the technology isn’t too far from being possible. It’s just one step up from Google Glass or my iPhone and I know some people who’d definitely be up for getting their devices implanted if it meant better service and interesting apps like the ones appearing in this story. Also, I enjoyed the romantic subplot in this one, which was very satisfying. 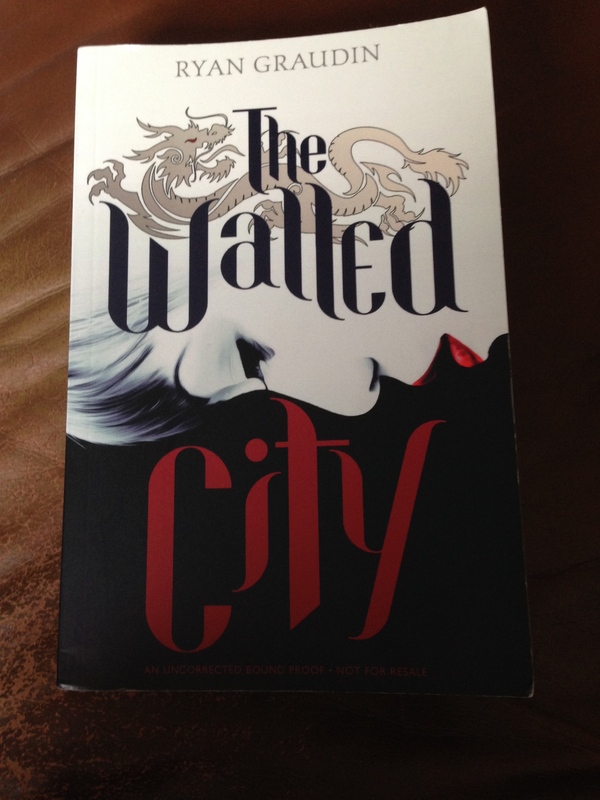 The Walled City is not out until November 6th but once it is released, you should do whatever it takes to get your hands on a copy because it is perfect and flawless and brilliant and I will recommend it until my dying breath. I was incredibly lucky that someone at Orion saw fit to send me a copy after I sent them a begging email request and I read it over the course of two train journeys – I actually expected that it would take me longer but I was just gripped by it. The story takes places in a city inspired by the real life Kowloon Walled City, a place between governmental jurisdictions filled with crime and danger and people doing their best to survive. I was fascinated by the real Kowloon (which I highly recommend you discover more about here at 99% Invisible) and the thought of a YA novel inspired by it was really exciting to me. You can ask anyone I work with as I told them ALL how excited I was that this book had been written. This is a book about desperate people: Jin, a girl pretending to be a boy whilst searching for her missing sister, Dai, a boy who, like everyone in the walled city, has a dangerous secret and Mei, a girl trapped in a brothel, who knows there is no escape. This is as much a story about found family and learning to trust others and yourself as it is about taking down a crime lord (although it’s about that too). I loved it. I think you’ll love it. Buy it, read it, tell all your friends. So, here we are! Look it’s the end of a finished blog post. Hurray! I’m giving myself a deadline for the next post partly because, obviously, I love the whooshing sound of deadlines but also because without them it is much easier to let things slide. Check back here next Wednesday (22nd October) for a roundup of books about best (and worst) friends (Goose by Dawn O’Porter, Since You’ve Been Gone by Morgan Matson, Spy Society by Robin Benway, Fangirl by Rainbow Rowell and Heart-Shaped Bruise by Tanya Byrne). This entry was posted on October 15, 2014 by Lisa in Reviews and tagged 4.5/5, 4/5, 5/5, Allen Zadoff, Boy Nobody, Gregg Olsen, I Am The Weapon, Jennifer Lynn Barnes, Roundup, Run, Ryan Graudin, Seven Second Delay, T.S. Easton, Teen Thrillers, The Hit, The Mission, The Naturals, The Walled City, Tom Easton.